For those chilly days spent outdoors with your Newf. 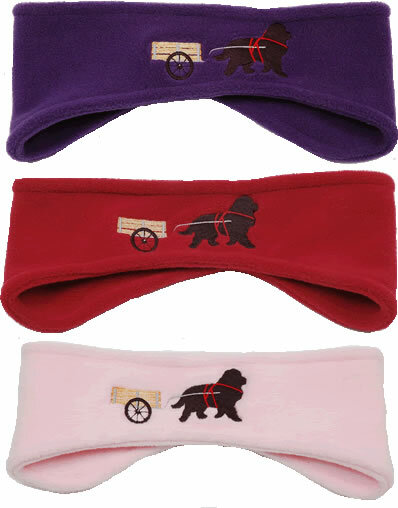 The Black Paw Carting Newf is embroidered on the front of our stretch fleece headbands. They are warm, soft and have an anti-pill finish for lasting wear. Available in Purple, Red, Blue or Pink.